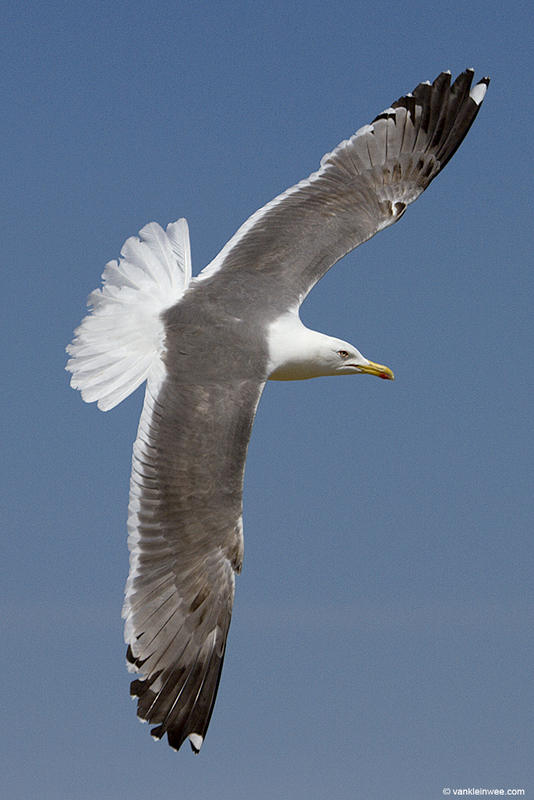 The images below are of a gull that was initially identified as a Yellow-legged Gull Larus michaellis but is by some considered to be a hybrid Lesser Black-backed Gull x Yellow-legged Gull Larus fuscus graellsii (Dutch intergrade) x Larus michahellis. 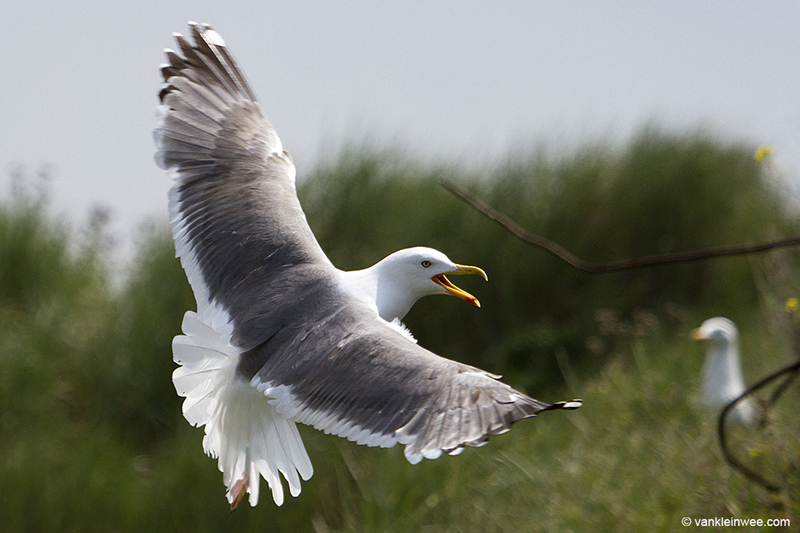 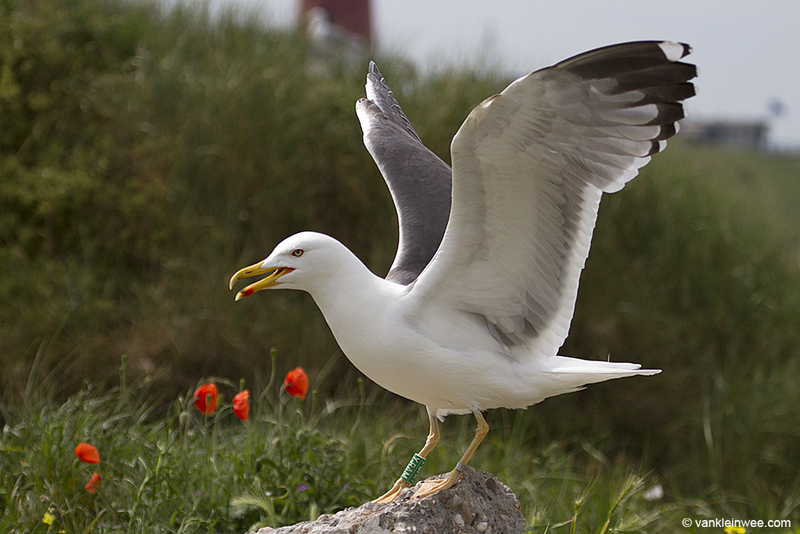 It was trapped on a nest as a 4th-calendar year in May 2012 in the gull colony of IJmuiden (Forteiland), the Netherlands. 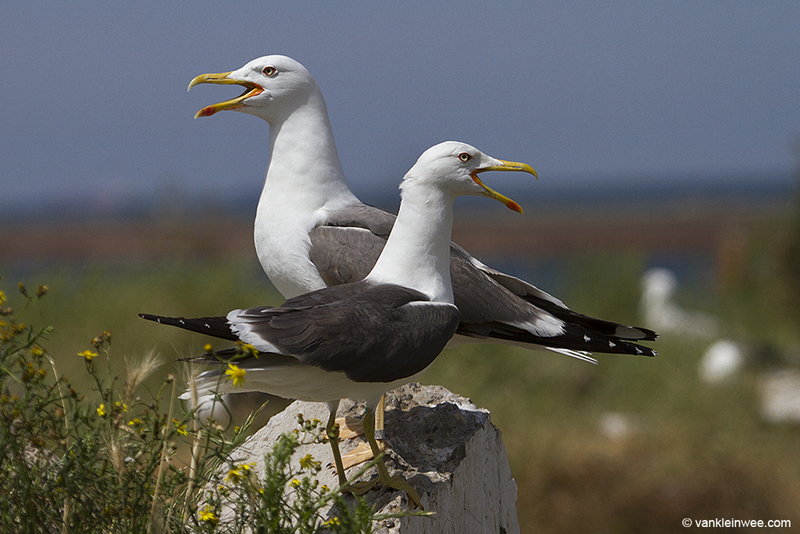 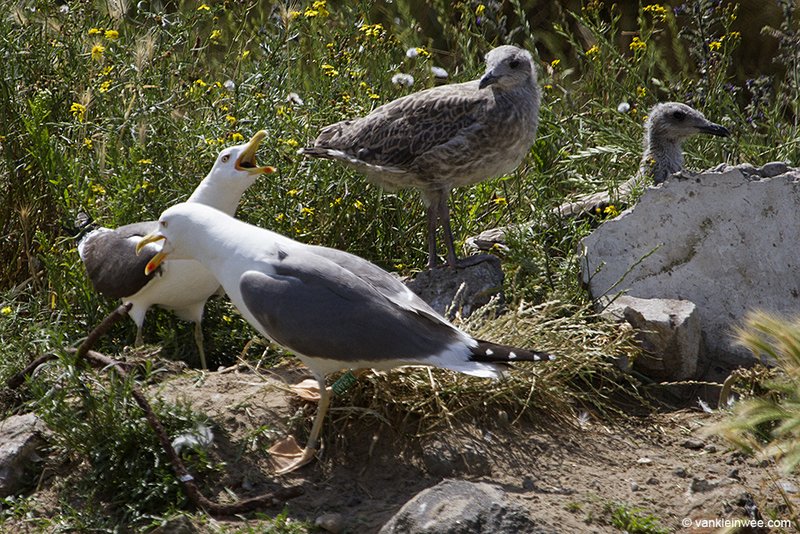 This colony is home to some 1100 breeding pair Lesser Black-backed Gull and about 150 breeding pair European Herring Gull Larus argentatus argenteus. 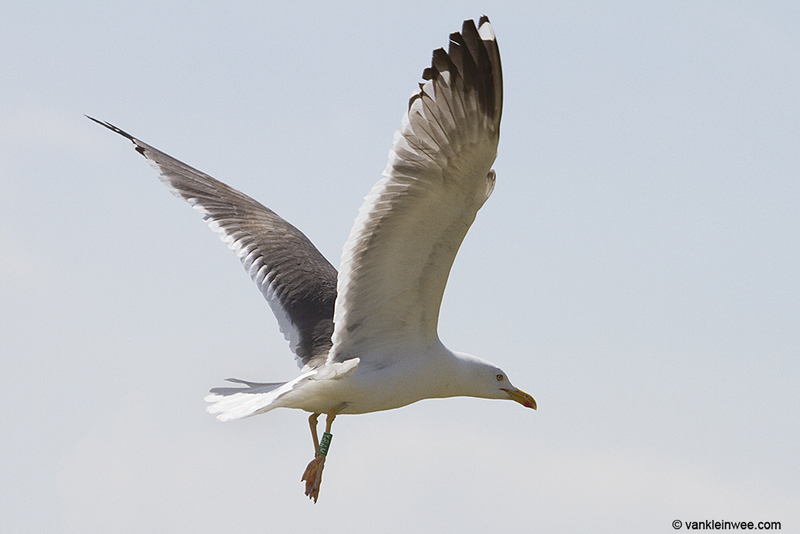 It was fitted with a metal ring and a green color ring coded Y.BAM. 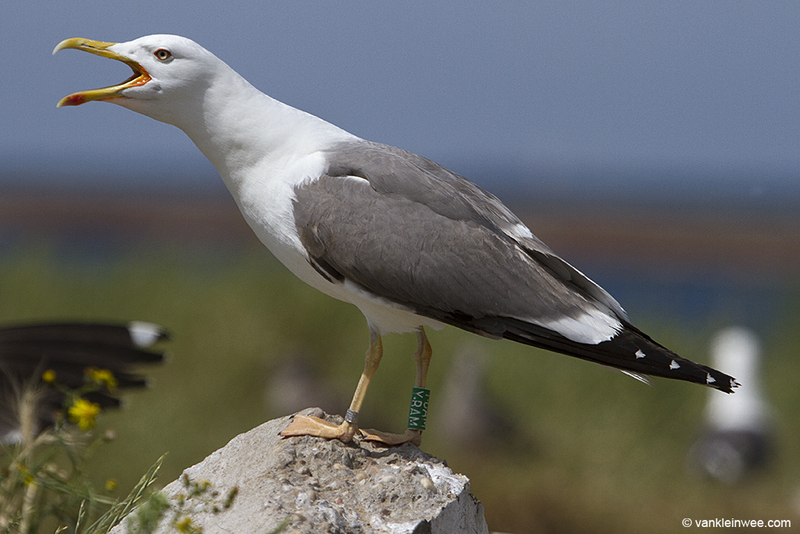 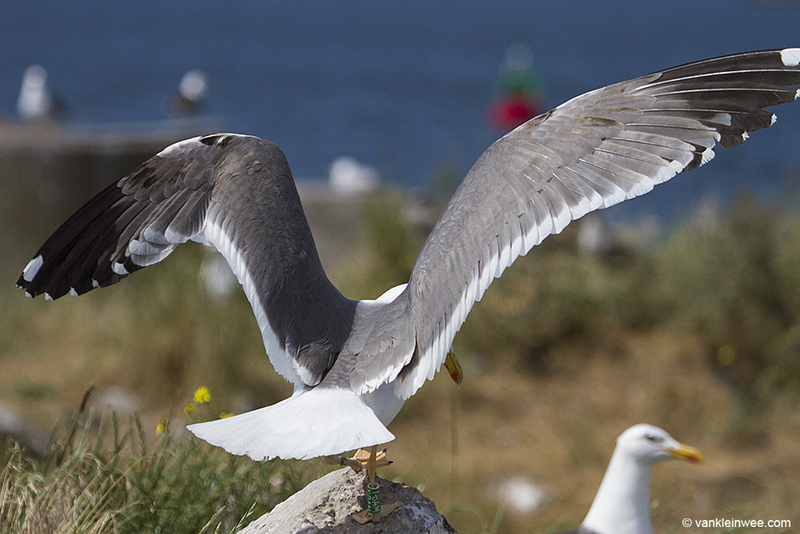 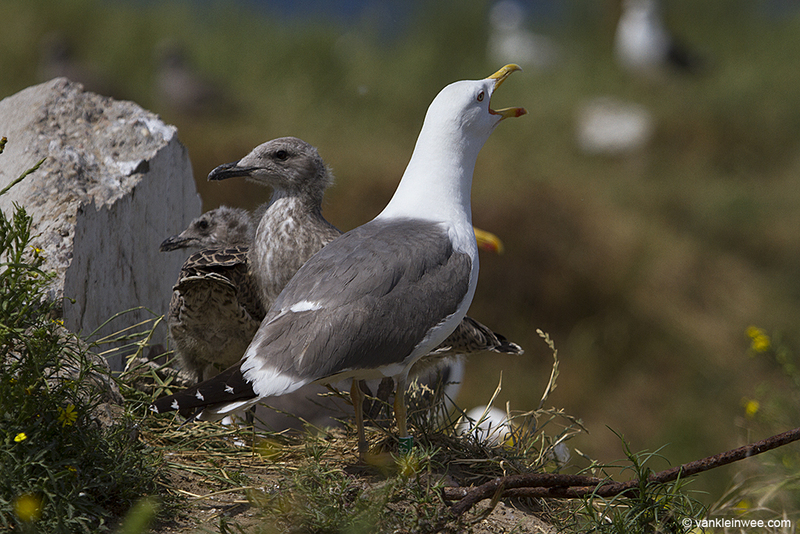 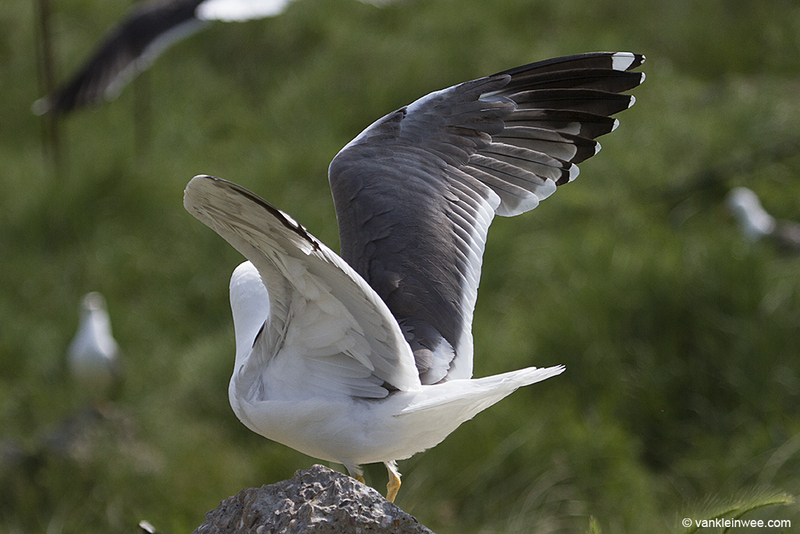 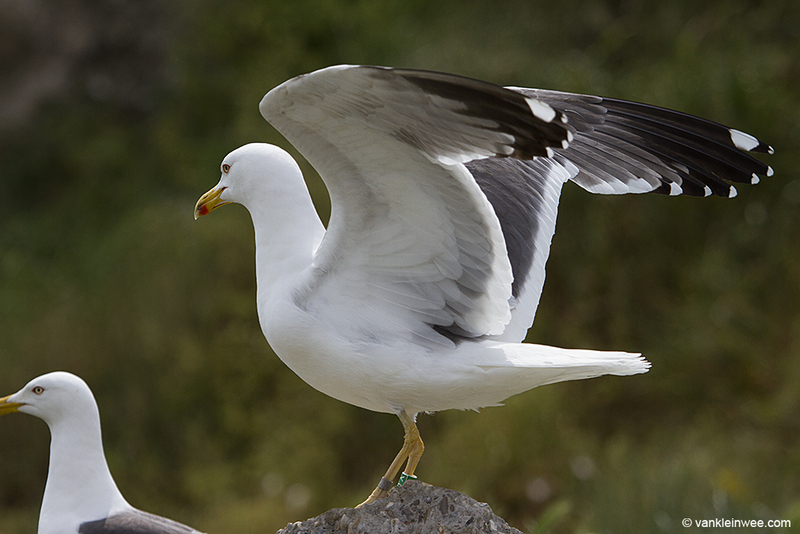 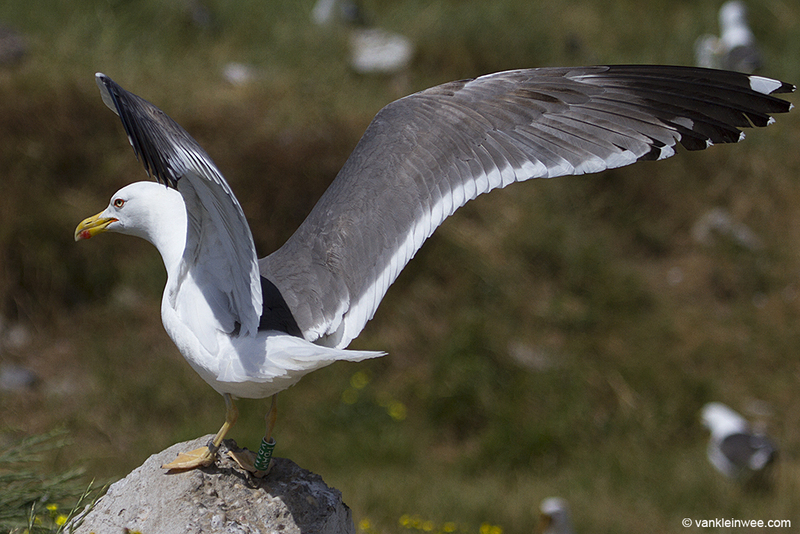 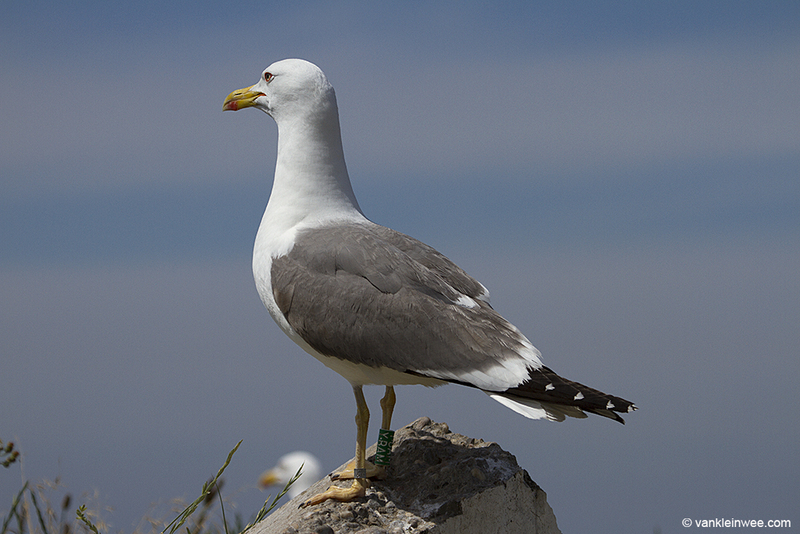 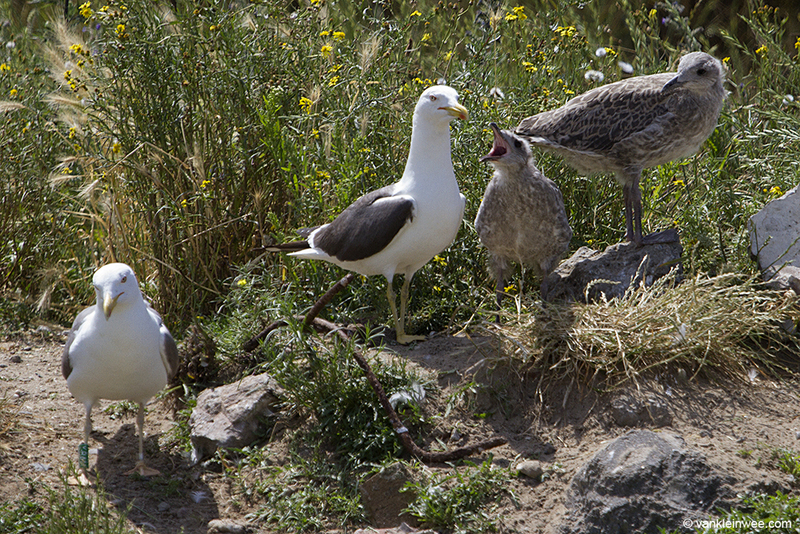 Green Y.BAM has been seen rearing 2 chicks in 2012, 2013 and 2014 while being paired with a Lesser Black-backed Gull. 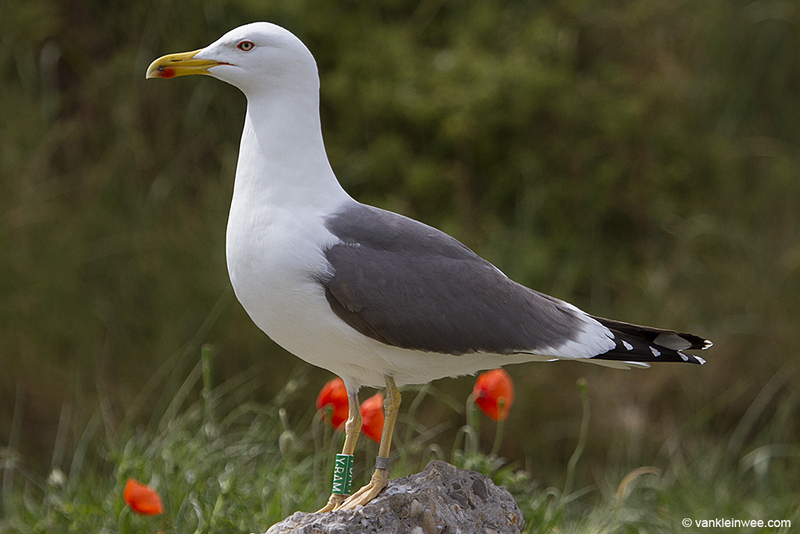 (Hybrid) Lesser Black-backed Gulls are rare in this colony: one other ringed adult is present while this year another 4th-calendar year individual was observed. 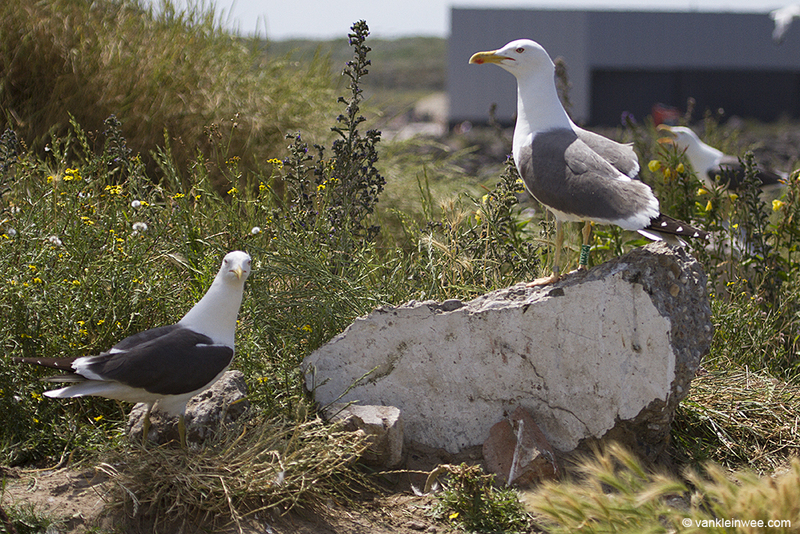 As can be seen in the images below, inner primaries P1 and P2 were replaced early June, but the images of early July show that P3 was not dropped. 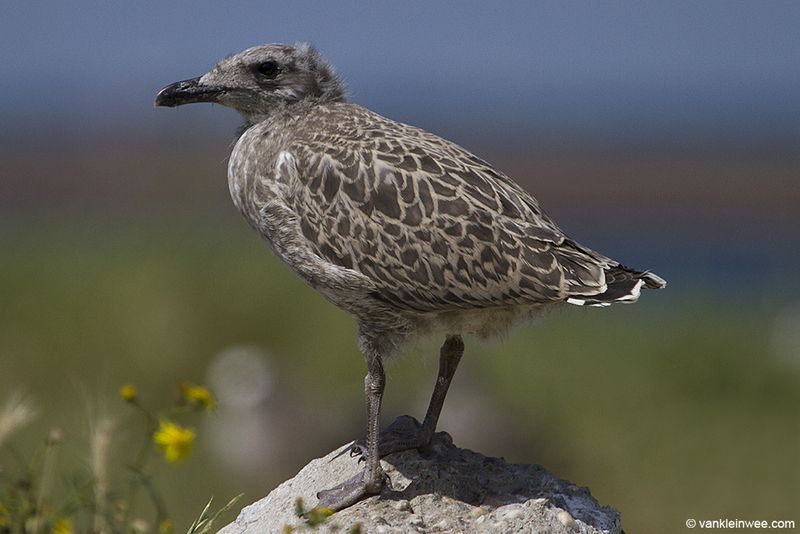 This phenomenon of arrested primary moult could be seen in other adult Lesser Black-backed Gulls in the colony at that time as well (more on that in a later blog post). 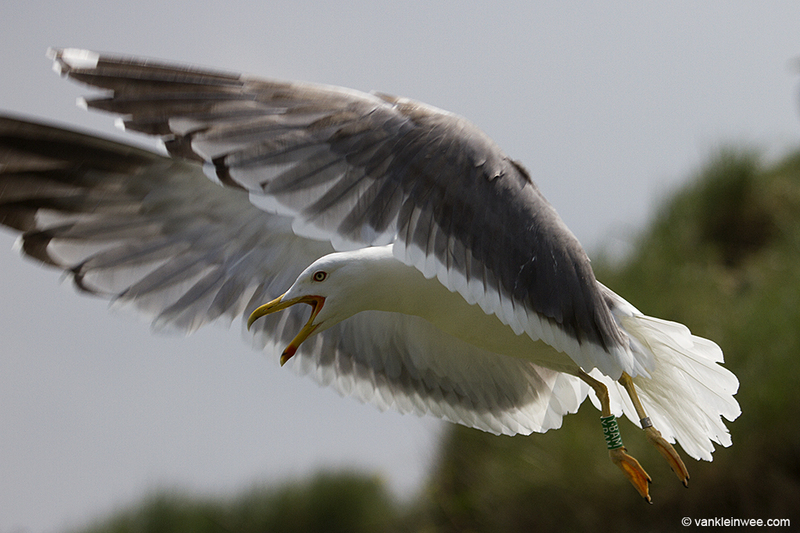 All images were taken during the 2014 breeding season in the colony of IJmuiden.